Kosovo President Hashim Thaci said everyone knows that the dialogue between Kosovo and Serbia is inevitable and necessary. "It’s been 20 years since the end of the war and Kosovo and Serbia have not yet reached an agreement. There has been hostility between Kosovo and Serbia for over a century and I believe the time has come to leave these hostilities behind, “said President Thaçi today while speaking at a conference organized by RIDEA Institute. According to Thaci, if there is no agreement between the two countries this year, Kosovo risks of entering a dangerous zone. 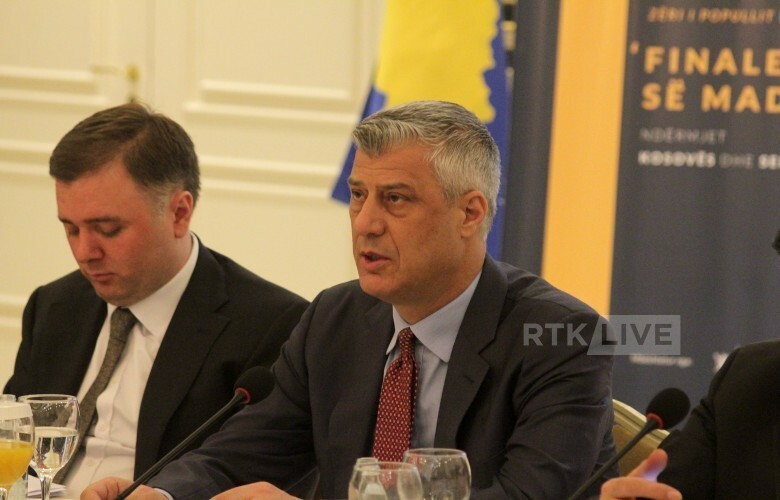 Furthermore, Thaci noted that the US will have a decisive role in the Kosovo-Serbia final agreement, RTKlive reports. President said that mutual recognition will be the key to a Kosovo-Serbia agreement. "When it comes to explicit recognition between Kosovo and Serbia, I would be happy if it would be achieved without talks," he emphasized.